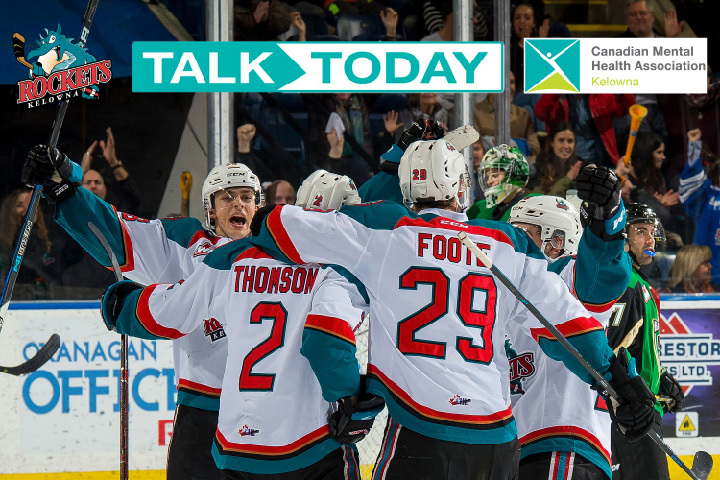 The Kelowna Rockets and CMHA Kelowna Branch are teaming up to raise awareness about the importance of mental health during an upcoming Rockets home game. A key piece of the Talk Today program has been to educate players about mental health and suicide prevention. Over the last three years, every Kelowna Rockets player has had the opportunity to participate in safeTALK suicide alertness training. WHL teams are now connected to their local branches of CMHA, which provide mental health resources to those in need. “We’re extremely grateful to partner with the CMHA Kelowna to host a Talk Today event to increase public awareness and to promote mental health in our community,” said Anne-Marie Hamilton, Director of Marketing/Game Operations of the Kelowna Rockets.